When the autumn sets in and winter starts looming in the distance, a good coat is a necessity. Ignore the standard black or brown design and have a read through our guide on how to pull off men's camel coats this season. When the autumn and winter months approach, coats become an important part of our everyday wardrobe. Whether you're the type to invest in one set coat for the A/W or have a few interchangeable pieces, it's important to choose wisely. You don't want to be stuck with a coat that doesn't go with your clothing, that's too 'trendy' and will look out of place in a few months, or that's just not good quality. Although it's tempting to go for the safe option of a black coat, with its versatility and flattering colour working with pretty much everything, sometimes it's nice to mix it up a bit. Lighter colours can be just as versatile if you choose wisely, and can give you a less intense, more relaxed finish that's great for a range of looks. Camel is a colour that's not always in the forefront of fashion, but that holds a place as a neutral, complementary base, and something that can be matched with a surprising range of clothing. A camel coat can be the perfect autumn and winter staple, and in this guide, we'll show you a few ways to pull it off. As you might have guessed, camel is a colour that resembles the fine hair on a camel's back. It's close to beige but lacks some of the lightness of that tone. Beige coats can sometimes be difficult to match with other colours, as it contains a more yellowish tone than the brown based camel, making it contrast with certain skin tones as well as clothing pieces. 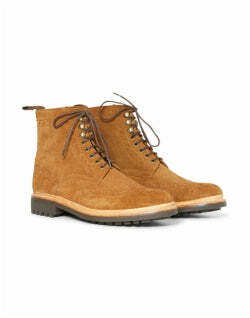 Camel has a richer, more versatile colour that suits most skin tones. It can also go with a larger range of clothing. You can wear camel in smart and formal looks, opting for a trench or long camel overcoat for a more sophisticated finish. Or, to look more casual, opt for a bomber jacket for that relaxed vibe. Peacoats have been around for a good long while (confusing editorial teams all over the world on if they're one word or not), and giving the men of the world a solid, flattering coat to turn to in the colder months. The most common style for a peacoat is the classic double breasted design, with its row of buttons helping to streamline the coat while ensuring the style stays dimensional and noticeable. If you're looking for something that can easily be worn in both casual and formal looks, the classic style of the peacoat can help with that versatility. A light tone of a camel peacoat for men helps to accentuate the unique detailing of the coat, rather than blending into the background like a darker shade. The coat's medium length means it's not too short for tall guys, and not too long for shorter statures, keeping the look nice and complimentary. The subtle colouring means it can be matched with dark and light pieces, so you can easily create a mixed look. Try pairing a simple black suit with a crisp white shirt. This classic look will make the focal point to your outfit your camel peacoat. You can accessorise a little bit with colour by adding a pocket square or tie to create an eye catching detail to your outfit. On to another classic style, but with a different overall look. The bomber jacket has become a staple part of casual menswear, and its unique collar, bold shape and range of materials has kept it popular as well as surprisingly versatile. Although the bomber jacket is usually found in a sleek black leather, suede has become more popular over the years, meaning that camel can easily be incorporated into the classic design. A camel bomber jacket is a great way to incorporate the colour into your wardrobe. For a clean and simple look, pair your camel bomber jacket with a simple white T-shirt and blue jeans. This classic look underneath makes the jacket really stand out. From a classic to a more unconventional style. The biker jacket is usually created in a black leather, staying in keeping with its rebellious roots and iconic look. 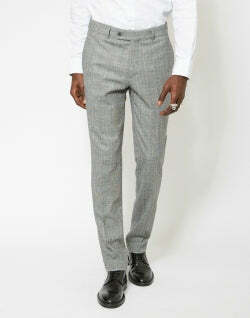 However, as time goes on and styles evolve, there's been different takes on the classic design. Camel is, of course, one of them, and you can go for different tones to create different finishes. A light camel gives a softer look and should generally be matched with lighter toned clothing. Even something simple like a white T-shirt and a pair of jeans can be given a boost with a statement camel jacket. Have an experiment with more relaxed looks. If you go for a deeper, richer camel, closer to a tan, then you can go further with your colour choices. Light clothing will still work with the jacket, but you can also go for more muted, dark pieces, such as a striking, all black ensemble, to create a more eye catching look. For a truly classic camel coat, the trench is really the only option. Trench coats are one of those designs that can seem a little too formal, or too 'public indecency' looking, but when you actually get over the cliches and the classic styles, are actually a lot more versatile than you'd think. A camel trench coat is, unfortunately, the colour of choice of exhibitionists, but it's also a great looking piece that needs to be reclaimed by the clothes wearing population. 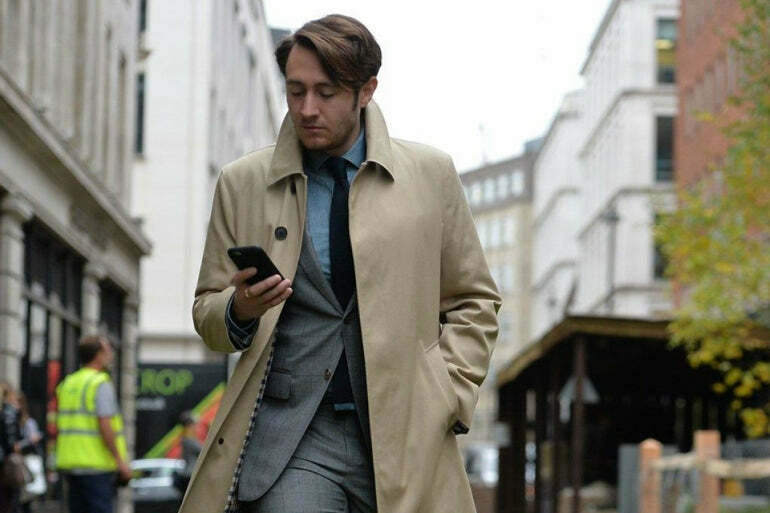 You can easily achieve an every day, smart casual look with a few staples and a camel trench coat. Whether you pick one in the traditional thin cotton or opt for thicker, you can still easily create an outfit that's balanced and clean. The long camel coat keeps you looking sleek and elegant whilst ensuring you stay warm in the cooler months by keeping the majority of your body covered. A camel coat with a belt gives a more conventional trench look, but you can easily go for a modern interpretation of the design that doesn't use the belt, giving you a less busy finish. Try incorporating colours like blue and brown into your look, helping to complement and match the light tone of the camel. A blue shirt paired with some brown or grey trousers is an easy base to work with, and you can finish off with some classic brown boots to keep things comfortable. 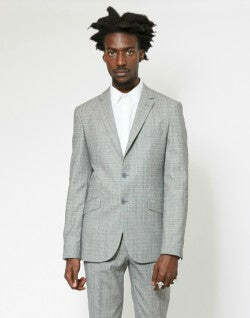 The previous coats and jackets can be incorporated into both smart and casual outfits depending on how you style them. However, sometimes a smart-ish coat just isn't enough, and you need something that's designed specifically for formal occasions. 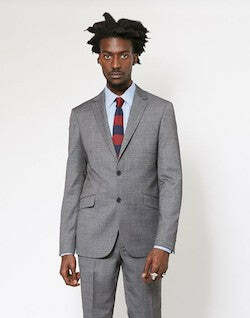 A camel blazer or suit jacket is ideal for when you need a boost of sophistication as well as some extra warmth. The light colour will keep things from looking too intense and classically formal. There's no rule that says your suit jacket or blazer has to match your trousers, and a lot of the time people tend to take liberties with colour matching, opting for something like navy trousers with their camel blazer to make a statement contrast. To create looks that have cleaner finishes, it's wise to have trousers in the same colour as your jacket. Match the outfit with a light coloured shirt, in something like pink or white depending on what finish you want, ensure your blazer fits smoothly against your body, and keep your accessories to a minimum to keep the look clean. 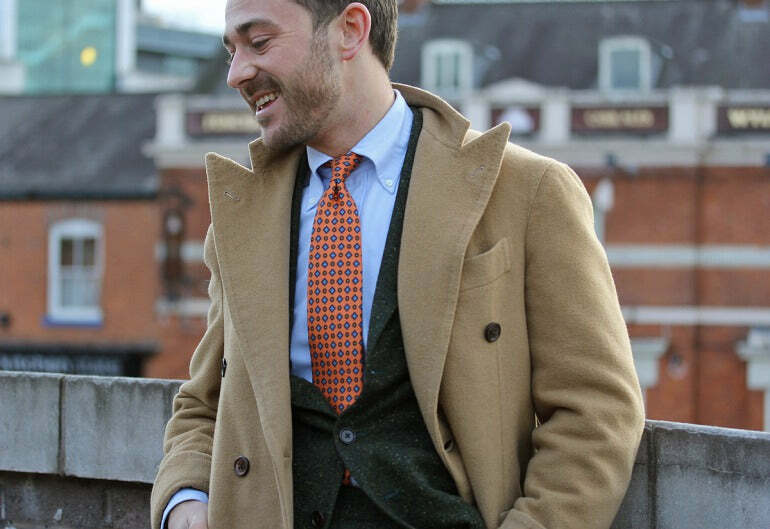 If you're looking for a camel winter coat, a men's wool camel coat is the material to go for. Different animals produce different kinds of wool, from cashmere from goats to angora from rabbits. Although these wools all have unique properties, the one thing they all have in common is their ability to contain heat, making them the standard choice for jumpers and coats. If you're going for a full wool coat, be prepared to spend a decent amount of cash, especially for cashmere. If the idea of spending half your rent on a coat sounds impossible, opt for a cotton or polyester blend. The cheaper material will help pull down the price, while the wool will ensure you're still getting some benefits. Try not to go for anything with a mix of less than 50% wool. This will prevent you getting the full advantages of the material. A camel coat is a perfect option for autumn/winter. 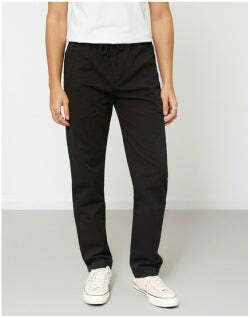 It's a classic and timeless colour that works perfectly over a formal and casual look. 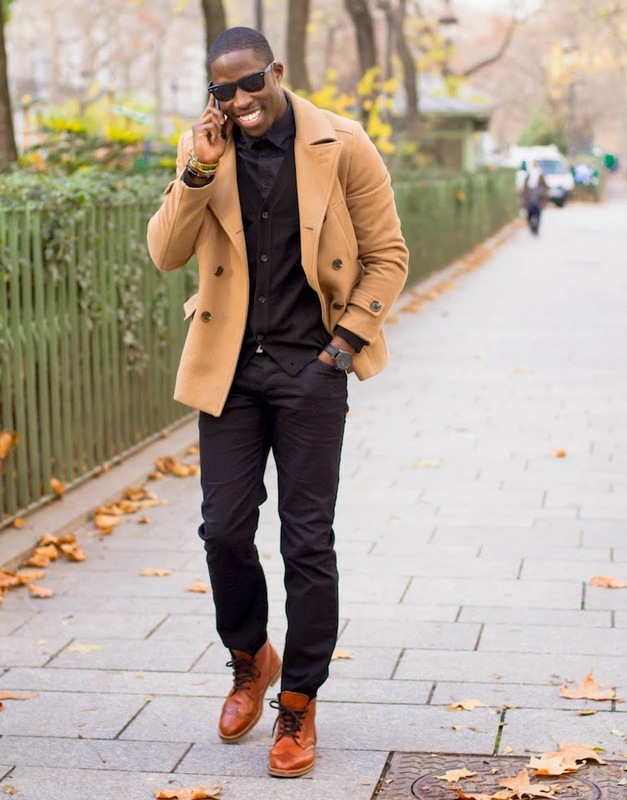 A men's camel peacoat and camel overcoat are more classic ways to style a camel coat. Layer them over a formal outfit for a work event or a night out. Mix the coat up with different styles such as a bomber jacket and biker jacket for a more alternative look. For something smart casual, opt for a camel blazer and team it with a formal shirt. 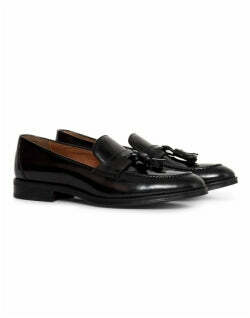 Pair this with some loafers and accessorise the look with a bag. Camel works brilliantly in a smart outfit. If you're bored of black coats, a camel coat is a good option. If you're a fan of light clothing a camel coat can easily complement a range of staple pieces. 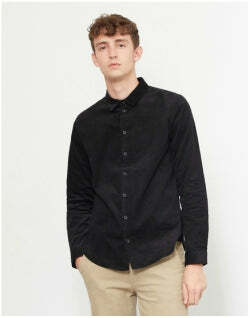 They will go with casual, clean coloured jumpers to smart white dress shirts. It can easily match with darker toned pieces as well, working well with more muted looks and creating a striking finish.